I love a balmy beach vacation almost as much as I love a European vacation, so how great is it to find a destination that encompasses both? The Dalmatian Coast in Croatia has been high on my wish list for a long time, but since some friends of ours spent their family vacation there this summer, it has definitely moved up a few notches on my list. Our friends have three children, ages 15, 13 and 8, and even brought a set of grandparents along with them on this trip. 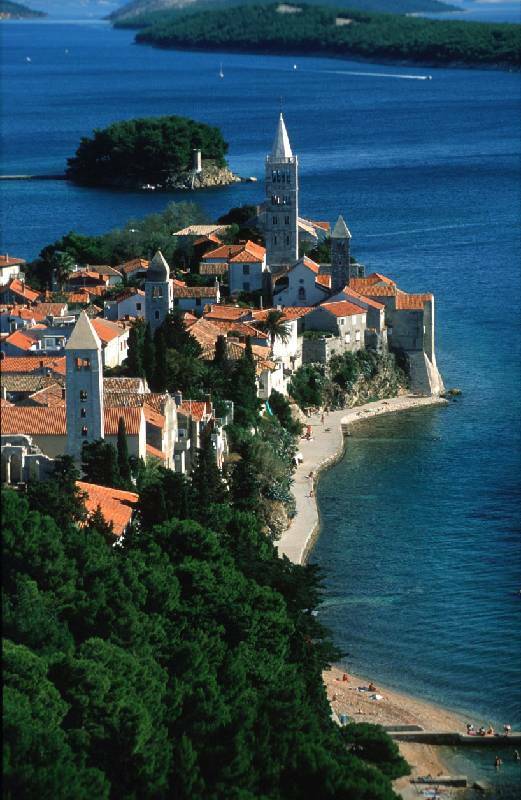 All of them raved about Croatia and the pictures we saw were fabulous. Dalmatia is a historical region on the eastern coast of the Adriatic Sea, with over 1000 islands, an immense number of bays and coves, channels, strings of sandy beaches and a warm, dry Mediterranean climate. Our friends spent most of their time on the island gem of Korcula, which is easily reached by several ferry lines from the mainland, and in the summer there are direct ferries from Italian Adriatic ports. Our friends said the local islanders are very friendly and the unspoiled coastline and crystal clear turquoise waters are magnificent. Back on the mainland, they visited two national parks, Plitvice and Krka, and were stunned by the many waterfalls and bright blue and green lakes. Croatia’s harbor towns and medieval villages, known for their olive trees and cypress woods, scattered Roman ruins and milk-white limestone buildings, host ancient monasteries and magnificent cathedrals. This region has embraced tourism and is becoming a very popular holiday destination. Many new hotels are being built, as well as new apartment and office buildings. Several large development projects have been revived, and new infrastructure is being built. Thanks for the great tip, Camille! Bring your own car seat to Croatia! 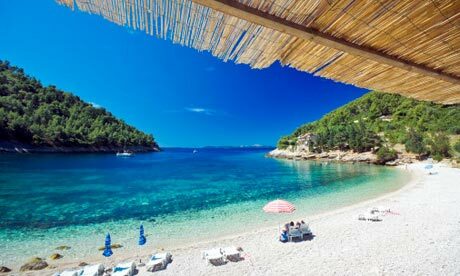 I SO need to get to Croatia. Thanks for commenting on my blog! I'm following you now, too! I have a friend who is from Croatia and seeing these pictures makes me envy her that much more ;) I'm excited to see what's next! Loved Croatia--would 100% bring the kiddos there when we go back.